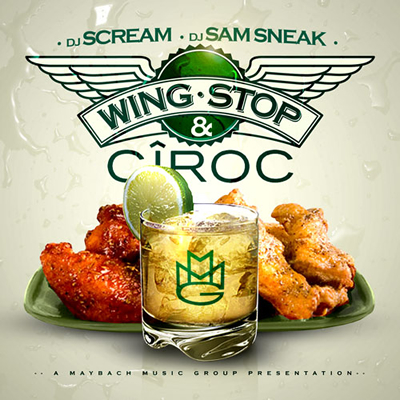 DJ Scream and DJ Sam Sneak have released "Wing Stop & Ciroc," a free mixtape, in cooperation with Maybach Music Group. It can be downloaded at LiveMixtapes.com and listened to below. It features Rick Ross, Meek Mill, Wale, Gucci Mane, Nicki Minaj and more. There is also an interlude by Diddy, titled "Diddy Introduces Peach Ciroc," which consists of the audio from the YouTube video released in September where Diddy said to refer to the original Ciroc flavor as "Blue Dot." Via Maybach Music Group and Ciroc Nation.